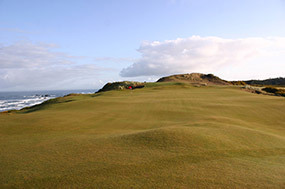 Seeds for the Bandon Dunes Golf Resort were planted in developer Mike Keiser back in the 1980s, when he first golfed on the traditional old links of the British Isles. 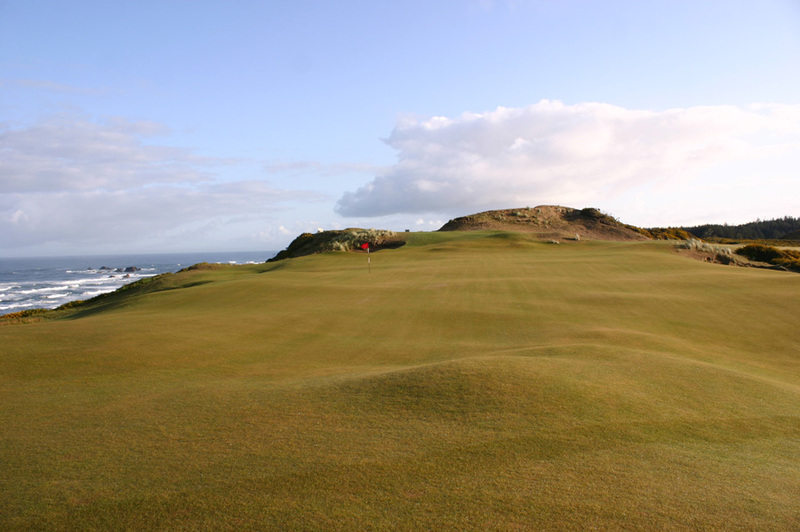 Frustrated by the direction golf course design and development had taken in America, he returned home determined to right some wrongs and reintroduce simple, seaside links golf back to the USA. Keiser wasn’t the first Chicagoan businessman to fall under the spell of the best British links. A century earlier Charles Blair Macdonald had been sent to study at St. Andrews in Scotland, where he fell in love with a game that he later helped establish back in his homeland. Macdonald not only co-founded the USGA, he designed the country’s first 18-hole golf course and also its first great one. In every way, Macdonald was a giant of late 19th and early 20th century golf and he remains Keiser’s favorite architect. When the time came to consider a fourth course at Keiser’s Oregon resort, an idea was formed to honor the work of Macdonald the designer, in the shape of a tribute golf course. Famously, Macdonald’s design modus operandi was to build replica holes or templates based on his favorite holes from overseas. 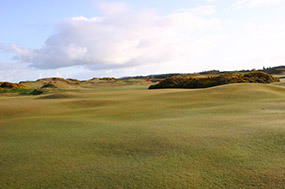 Most every course created by Macdonald and his protégé Seth Raynor, for example, features a Redan-shaped par three, along with a Biarritz, an Eden, Cape, Road and Alps hole. At Old Macdonald the idea wasn’t necessarily to create replicas of Macdonald’s replicas, but instead to use his templates, and the courses upon which they were based, as inspiration and to go find, and then build, the sort of holes that C.B. would have approved of, if not flat out created himself. The names are familiar, but the variances are what make this such an interesting golf experience, and so enjoyable for admirers of Macdonald’s best work. 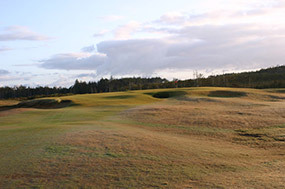 The design of Old Macdonald was overseen by Tom Doak and his former associate Jim Urbina, with input from Keiser and a pair of local golf writers. The routing the team devised is dominated by an elongated dune ridge inland of the coast and another right on the cliffs that overlooks the Pacific Ocean. Only the opening and closing holes are not built across a vast field in between them. That primary site was the reason the designers embraced the Macdonald concept so strongly, because it was so broad that it enabled width and all manner of strategy, and so full of natural contour as to allow for some quite outrageous playing corridors and landing areas. While the tribute idea is well considered and effectively implemented on the ground, if anything Old Mac more closely resembles the Old Course at St. Andrews than anything Macdonald created back in the US. That’s chiefly because Macdonald himself was so inspired by St. Andrews, and because the virgin land was more lumpy and bumpy than any of the sites Macdonald built on. It’s also due to the fact that the greens Doak and Urbina built are simply enormous. 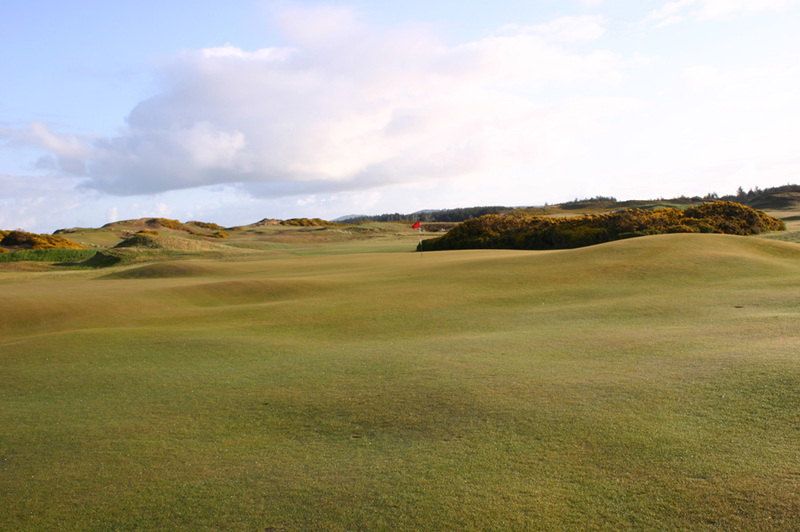 Averaging a staggering 14,000 square feet, the targets are larger than some of the famous double greens on the Old Course. 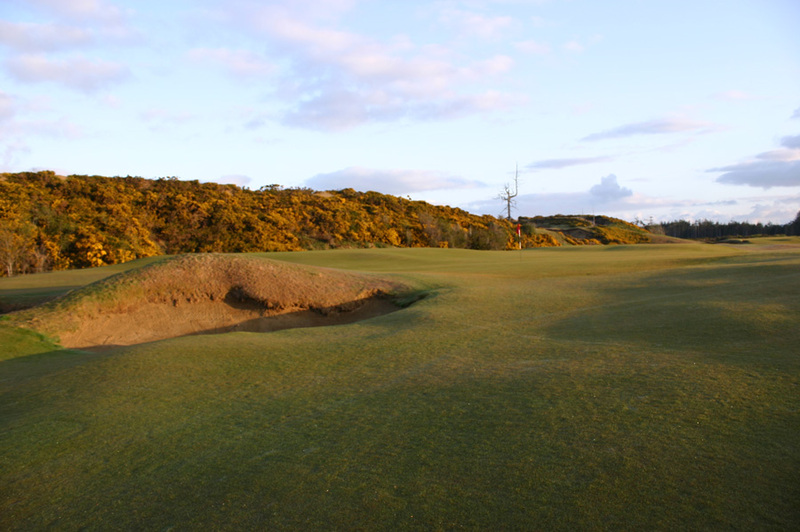 Aside from the sheer scale of the green complexes, the blind drives and all manner of fun, bouncy approach shots, the highlight at Old Macdonald are the holes that rise into the cliffside dunes. With a wonderful approach up into a green straddling the top of the ridge, the 7th is the hole most likely to stop golfers in their tracks. The par three 8th then dives dramatically back off the coast and into a massive Biarritz-type green with a depression through its middle section. Other memorable moments at Old Mac include the blind, diagonal drive across the principal ridge on the 3rd hole and the wild undulations into and around that same green site. The elastic par three 5th, which can play almost any club and to a huge target with distinct pinable sections, is equally outstanding. 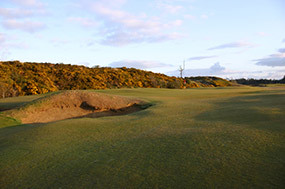 Best of the back nine are probably the Road-hole inspired par four 11th and the equally daunting 16th, modeled on Macdonald’s beloved Prestwick links in Scotland and with its second shot played blind across both a large sandy dune and a hidden Sahara bunker. Like several others on the course, this is the kind of hole that sorts the true links lovers from those who only pretend to embrace the quirk and sport of our specious and beautifully mysterious game. As golfers the world over are well aware, by any measure Bandon Dunes has been a tremendous success for Mike Keiser and the state of Oregon. 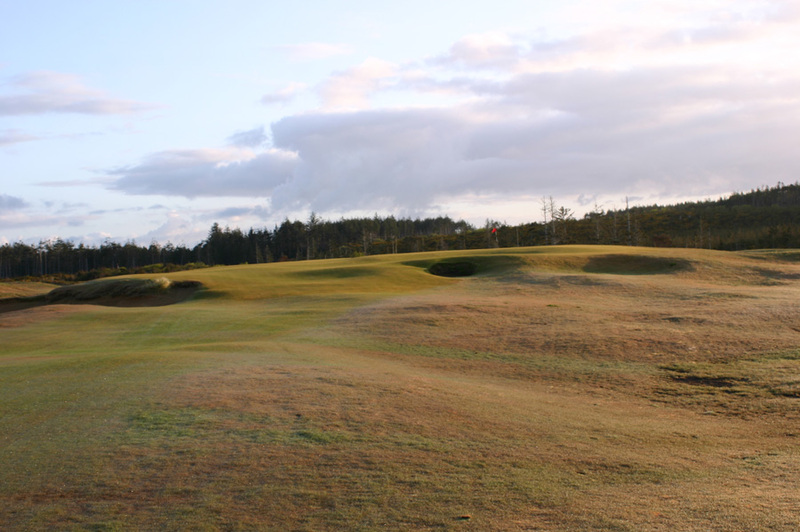 Old Macdonald complements the other offerings at the resort perfectly, by being so different to what is available elsewhere yet so squarely of that same design mindset that favors walkability, playability, fun and adventure over torturous length and difficulty. There is no doubt that some won’t enjoy this course and its exaggerated contours, but plenty others will love the place to death. More importantly, Old Macdonald is an appropriate tribute to C.B Macdonald. We have no doubt that were he around to see its creation he would have approved.